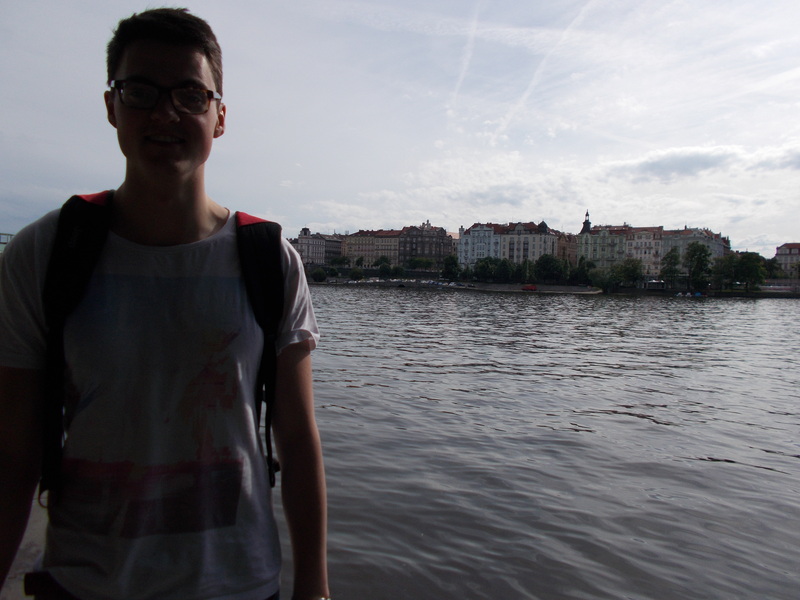 So here I am, about a week and a half into my dwelling in central Europe. Just an island man trying to get his feet on the ground in the mainland. I hate to use such a common phrase, but seriously this week has been such a blur. 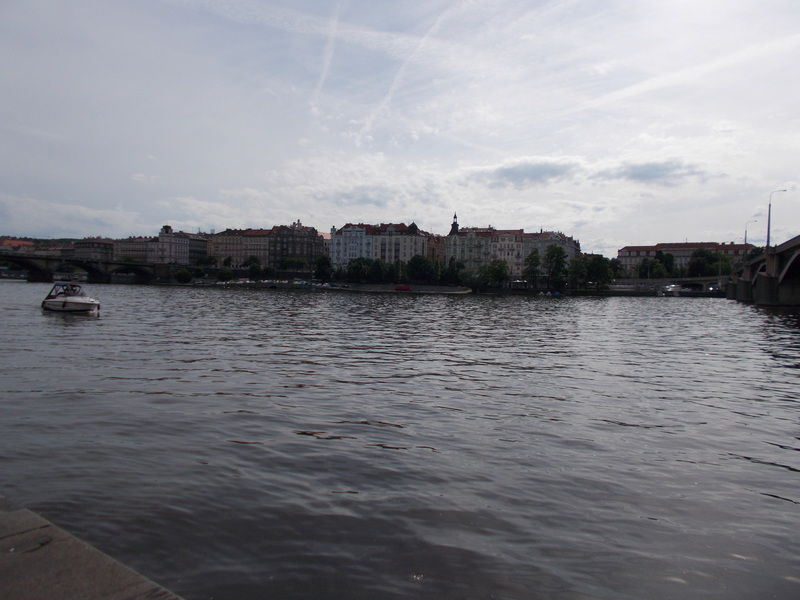 What can I really say about Prague? Well first off, I am a terrible tourist. I’ve been here a week and I still haven’t been to any main tourist attractions. My apologies, but I will get round to it eventually, I mean I have to at least get to the castle. In the mean time, this is about as close I’ve gotten with a camera in hand! So yeah, I’ve been so busy that I haven’t had much time to be a tourist. Although I haven’t see the main tourist attractions I’ve been to lots of restaurants and other little gems. I have eaten more Asian food in the last week than I probably have in the last year. It’s so common to see Vietnamese restaurants here, and I basically have it three times a week. There is also an abundance of Japanese restaurants as well, but it’s only either noodles or sushi bars. Just last night I was in a Korean restaurant named Mamy food, do not ask me how to get there I am still far too naive of a navigator of Prague to give directions, but it has great views on TripAdvisor. And I agree with them! The food was absolutely heavenly! I have to admit, I am amazed at the Asian influence within Prague! But I LOVE it! What else have I done? Well, it’s been one week and I’m already having to hand in an assignment (pretty much just finished it now). It was rather interesting. Last week we were given four hours of learning Irish as a foreign language. None of us had any understanding of the language, and yet it was still possible to learn so much! Plus, our teacher was so erratic and energetic that is was an absolute laugh! I also taught my first lesson this week! Thank God that’s over! I’ve never been so nervous in my life! Everyone looking up at you waiting for a lesson on the English language. I’m 22 for crying out loud, what knowledge can I give them?! To be honest, it was great. Obviously it wasn’t the best as it was my first lesson, but I left feeling pretty chuffed with myself. Everyone understood what was going on (I was basically just introducing vocabulary to them through a song), so I believe I achieved my goal. It hasn’t just been work! I have done more drinking in this week than I did in my last term of university! There is something amazing about Czech culture, where it is deemed necessary to have a beer after everyday. I take my hat off to the Czechs for showing an Englishman how to drink, and tasty beverages at that! It is a great way to blow off steam, and even though I have been working hard today (on a Sunday at that, Lord forgive me! ); I took time off to have an afternoon beer by the river. Not a bad view eh? you can see views like this around every corner in Prague, and I’ll show you another view of this spot without my big frame in the way. Well I have to go and plan a lesson for tomorrow, so I’ll leave you with a question. 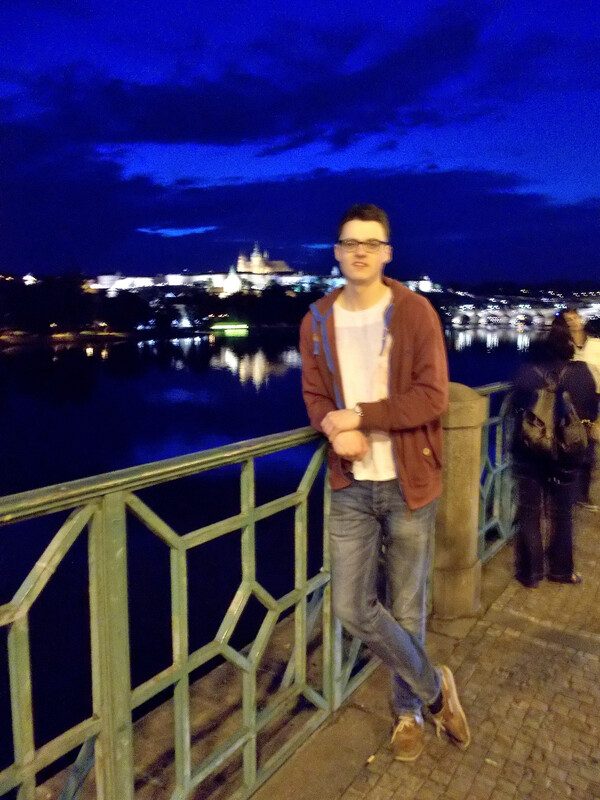 Previous Previous post: Prague; So it begins!